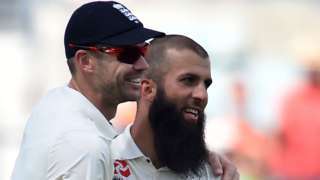 Mark Lawrenson takes on England cricketers Moeen Ali and James Anderson in the next round of Premier League matches. 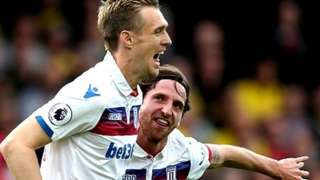 Darren Fletcher scores the only goal as Stoke win on the road for the first time this season. 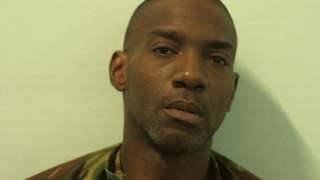 Joel Nestor was arrested after police were alerted to concerns for the welfare of a woman. 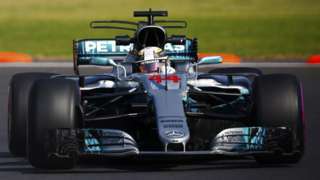 Britain's Lewis Hamilton is second quickest behind Mercedes team-mate Valtteri Bottas in first practice at the Mexican Grand Prix. 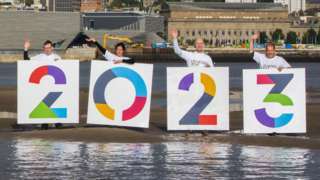 Five locations submit their bids to be European Capital of Culture in 2023 - despite Brexit. 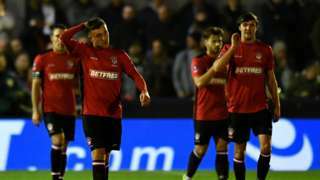 MK Dons produce a convincing performance to beat eighth-tier side Hyde Utd 4-0 and reach the second round of the FA Cup. Tonight will be fine and dry with long clear spells. With temperatures falling as low as 3C (37F), a touch of ground frost is possible in rural areas. After a chilly start, Saturday will be fine and dry with some sunny spells. Cloud will thicken from the north, with some outbreaks of rain and drizzle during the night. The temperature is expected to climb to about 15C (59F). Sunday will be mostly dry, with an odd shower likely in eastern parts of the region. It'll feel colder, with temperatures reaching 13C (55F). There's likely to be a widespread frost on Sunday night, with temperatures falling as low as -2C (28F) in some areas. M1 Hertfordshire northbound severe accident, between J8 for A414 and J9 for A5183 affecting J5 for A41 North Western Avenue A4008 Stephenson Way. M1 Hertfordshire - Slow traffic on M1 northbound between J8, A414 (Hemel Hempstead) and J9, A5183 (Redbourn), because of an accident earlier on. All lanes have been re-opened. Congestion to J5, A41 (Watford). M25 Greater London - Two lanes closed and queuing traffic on M25 anticlockwise between J25, A10 (Enfield) and J24, A111 (Potters Bar), because of a broken down vehicle. 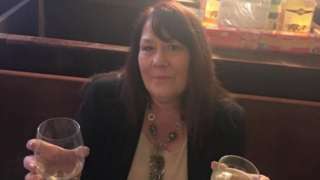 Joanne Rand died in hospital after being burned by a corrosive substance. 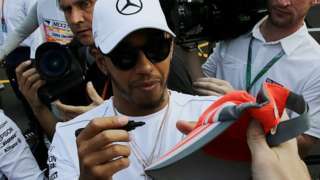 How Daniel Ricciardo outpaced champion-elect Lewis Hamilton in second practice at the Mexican Grand Prix. M25 Hertfordshire clockwise severe disruption, between J24 for A111 and J25 for A10. M25 Hertfordshire - Very slow traffic on M25 clockwise between J24, A111 (Potters Bar) and J25, A10 (Enfield), because of an earlier broken down vehicle. All lanes have been re-opened. M25 Hertfordshire clockwise severe disruption, between J23 for A1 and J24 for A111 affecting J21 for M1. M25 Hertfordshire - One lane closed and very slow traffic on M25 clockwise between J23 A1(M) and J24, A111 (Potters Bar), because of a broken down vehicle. Congestion to J21 M1. Video caption: Former professional boxer Frank Bruno answers some quick-fire questions.Former professional boxer Frank Bruno answers some quick-fire questions. M25 Hertfordshire both ways severe disruption, between J23 for A1 and J24 for A111 affecting J26 for . M25 Hertfordshire - Long delays and queuing traffic on M25 in both directions between J23 A1(M) and J24, A111 (Potters Bar), because of earlier medical emergency. Congestion to J26, Waltham Abbey and to J22 (St Albans. 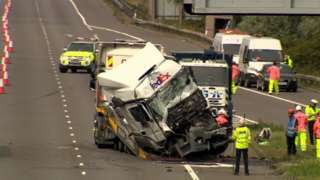 M1 Buckinghamshire northbound severe accident, between J14 for A509 and J15 for A45. M1 Buckinghamshire - One lane blocked and slow traffic on M1 northbound between J14, A509 (Milton Keynes) and J15, A45 (Northampton), because of an accident involving three vehicles. M1 Hertfordshire southbound severe accident, after J8 for A414. M1 Hertfordshire - Queuing traffic on M1 London-bound after J8, A414 (Hemel Hempstead), because of an accident, which is now on the hard shoulder. All lanes have been re-opened. M25 Hertfordshire anti-clockwise severe disruption, at J23 for A1 affecting J25 for . M25 Hertfordshire - M25 lane closed on exit slip road anticlockwise at J23 A1(M), because of a broken down car. Traffic is coping well. Congestion to J25, Enfield.